Frederick Griffith entered the Royal Academy of Music, London to study with Oluf Svendsen, after having gained prizes at the Welsh National Eisteddfod and at Cardiff. From October 1888 he went to Paris for further studies with Paul Taffanel and on returning to London gave recitals and became director of the Wind Instrument Chamber Music Society. In c.1895 and he was appointed first flute at the Royal Italian Opera, Covent Garden and then soon became professor of flute at the Royal Academy of Music. He made many tours in the provinces with Melba and in 1902, again with Melba, toured Australia. 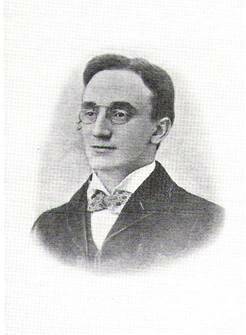 Griffiths was dedicatee of two works for flute by Edward German – Suite and Saltarello. Griffiths composed a number of his own works for flute and was the author of “Notable Welsh Musicians”.